Recently, while investigating the reasons for a surge of traffic to the site from Hacker News, I came across Paul Graham’s essay Let the Other 95% of Great Programmers In. Though I was in broad agreement with Graham’s premises and conclusions (which broadly agree with the innovation case for open borders), I found some of the argumentation weak. In many ways, I thought that Graham both overstated and understated his case. He conceded too much to citizenism and to flawed framings of the issue, even if he didn’t directly endorse them. A warning at the outset: it is quite possible that I am mistaken. In fact, given Graham’s substantially greater knowledge of the issues, your Bayesian prior, as you start reading this, should be that I am mistaken and Graham is right. But also consider another possibility. As Graham himself said, there are some things he can’t say. Graham is a contributor to high-tech immigration advocacy group FWD.us (see Nathan’s post on them). In that capacity as well as in his capacity as Y Combinator partner, he is keen to see high-tech immigration reform actually achieved. Even if he is broadly sympathetic to freer migration for all, coming out in favor of that might be a risk he’s not willing to take if it jeopardizes high-tech reform (relatedly, see my post on the dearth of moderates’ critiques of open borders). Thus, it could well be that my criticisms of Graham are epistemically correct but that his apparent results are a reflection of political savvy rather than intellectual sloppiness. The 95% statistic is a gross exaggeration: Graham’s framing, and his choice of title, radically overstate his case. His actual text, if read carefully, is less misleading. Graham overstates the need for reform specifically targeted at exceptional workers: He overstates the case for letting them in, and the difficulties they face. Graham understates and undermines the importance of letting in the merely competent: The merely competent include many who may go on to become exceptional. They support the exceptional through division of labor and comparative advantage. And their children may go on to become exceptional. Graham concedes too much to the flawed jobs-and-wages-focused economic framework: He tacitly endorses the view that it’s somehow bad for companies to let in workers for the purpose of cutting costs. But cutting costs (holding the quality of service constant) is critical to economic and social efficiency. Graham couches things too much in the language of American competitiveness: He is right that there is a chance that the global hub could move out of Silicon Valley due to poor policy choices (including immigration policy and local land use policy). But the sad thing about this cost isn’t so much that America loses out, it’s the huge social and global costs of the transition. The US has less than 5% of the world’s population. Which means if the qualities that make someone a great programmer are evenly distributed, 95% of great programmers are born outside the US. It would be great if more Americans were trained as programmers, but no amount of training can flip a ratio as overwhelming as 95 to 5. So what’s the problem? First, the qualities here aren’t clearly defined. How do people become great programmers? Graham emphasizes that not everybody can become a great programmer, even with a lot of training. Graham knows more about this than I do, but I think he’s right. To be great at programming requires confluence of many skills, including raw cognitive/analytic ability, lots of practice (which in turn requires conscientiousness), and a certain kind of mindset. People differ in these respects both genetically and because of the experiences and opportunities they get in life. I replied that this was impossible—that we could not in three months train non-hackers to have the kind of insights they’d have if they were hackers, because the only way to have those kinds of insights is to actually be a hacker, and that usually takes years. Note that the assumption of equidistribution of genetic potential isn’t a necessary one — in fact, one could argue that selectivity on past generations of immigrants, as well as the heritability of relevant traits, means that even from a purely genetic perspective, people with the relevant genetic potential are disproportionately likely to be born in the US. It’s not clear that this argument is quantitatively significant, since large parts of the world still live in poverty and their potential — genetic or otherwise — remains undiscovered. But to the extent it’s true, it would further weaken Graham’s claim. Cross-national comparisons of school learning: TIMSS and PISA. On these measures, the United States performs around the middle of the pack of developed countries, and a lot better than poorer, less developed countries (most of these countries don’t even participate in the assessments, but similar informal assessments have been done in countries such as India and have shown abysmal results. China is an interesting exception in that it does quite well on the PISA and on educational attainment measures in general, relative to its wealth level). Performance in coding contests and Olympiads: The US again does a lot better than most other countries, even controlling for population size. Getting in the top 30 in the math Olympiads in the United States is considered harder than getting to the International Mathematical Olympiad team in India. The top performers on websites such as TopCoder come disproportionately from the United States. These aren’t (very directly) the qualities that Graham is looking for, but the frequency of these in the population is likely to correlate with the frequency of great programmers. The anti-immigration people have to invent some explanation to account for all the effort technology companies have expended trying to make immigration easier. So they claim it’s because they want to drive down salaries. But if you talk to startups, you find practically every one over a certain size has gone through legal contortions to get programmers into the US, where they then paid them the same as they’d have paid an American. Why would they go to extra trouble to get programmers for the same price? The only explanation is that they’re telling the truth: there are just not enough great programmers to go around. Now, I do agree that many technology companies have needs for workers with unique, or at least hard-to-replicate, skill set combinations. These needs aren’t so unique that the company would be devastated if the person didn’t join, but they do allow for things that would be very hard for another specific worker to replace. In the high-tech case, the claim that immigrants do jobs natives won’t do comes closer to being true in a very literal sense than elsewhere. The fact that people have relatively unique and niche skill sets and aren’t so directly in competition with each other also probably explains why, just as in academia, a much larger fraction of natives employed in these industries support freer migration of immigrants who one might naively think would “compete” with them. But let’s not stretch this truth too much. Google has 55,000 employees. Facebook has 6,800. I believe (and very much hope) that neither company will be destroyed as a result of any single employee leaving. In that sense, the employees aren’t truly exceptional or critical. First, if more high-skill immigration is in the perceived interests of the tech sector, I don’t think this is because they foresee greater profits so much as because they can do more. Some time back, Vipul asked “Why are academia and Silicon Valley pro-immigration?” My rough-and-ready guess, slightly different from Vipul’s, is simply that academics and Silicon Valley types aren’t thinking about their own self-interest, but instead have internalized the goals of their professions, the pursuit of truth and the advancement of technology, respectively, and that they support immigration because they think the pursuit of truth and the advancement of technology would be served thereby. As a boss in the tech sector, Zuckerberg might have an interest in recruitment that diverges from the interests of his employees, but I doubt that’s important here. And the tech sector generates such marvelous positive spillovers for the economy and society that Zuckerberg may, plausibly though exaggeratedly, identify the interests of his sector with those of the entire economy. He wants to do more of what he does best, and he thinks it will benefit the whole world, and he’s more or less right, and now he’s lobbying to be able to recruit immigrants to help him do that, which is all well and good except that it doesn’t necessarily lead to the wisest immigration policy. The main problem with this, as I see it, is that it is already relatively easy for fairly exceptional people to get in the US and stay there. It is not easy in absolute terms. Legal contortions are needed, and the fees are nontrivial. But the truly exceptional, or even the somewhat exceptional, have nowhere near the sorts of troubles that others have to go through. To take anecdotal examples, of the people in my undergraduate college who were part of the contest coding culture, all are currently in the US. In fact, they’re in the San Francisco Bay Area, working for companies like Google and Facebook. Complaining about the difficulties faced by companies such as Google and Facebook sounds decidedly like a very extreme version of First-World Problems. Now, there are still problems, and I don’t want to minimize them. Slightly fewer people are hired at the margin, costs go up somewhat (thereby meaning the companies can’t expand as rapidly or need to charge higher prices for their services) and some innovation is lost. A bigger cost of the current system is that smaller companies, particularly those that don’t have good funding and good lawyers, can’t get H-1Bs for their workers so easily. And perhaps an even bigger cost is that people on H-1Bs can’t start their own companies. This means that programmers from around the world are even more likely than they otherwise would be to stick around at the big company they are working for, than to form their own startup. Efforts such as the startup visa could help with that. But that’s not really a problem to do with programmers, and more a problem to do with tech entrepreneurs — a set that doesn’t include most programmers, even superstar programmers. There are a handful of consulting firms that rent out big pools of foreign programmers they bring in on H1-B visas. By all means crack down on these. It should be easy to write legislation that distinguishes them, because they are so different from technology companies. But it is dishonest of the anti-immigration people to claim that companies like Google and Facebook are driven by the same motives. An influx of inexpensive but mediocre programmers is the last thing they’d want; it would destroy them. I already said above that the truly exceptional don’t have much problem getting in. But to the extent that they do, these problems arise because they are caught in the net meant to catch the merely competent. By giving the green light to “crack down” on companies that are trying to cut costs by hiring cheaper programmers, Graham is endorsing the very things that create headaches for the truly exceptional. This is not a new idea. A crackdown on illegal immigrants not only hurts illegal immigrants, but also the many citizens and legal immigrants who now need to carry around documentation, and have to deal with interrogation, to prove they are not illegal immigrants. As co-blogger Chris noted, back in the late 19th century US, a crackdown on the importation of prostitutes from China led the authorities to forbid the immigration of the wives of Chinese men. Drug raids take many innocent lives, many of them due to no-knock raids at houses where no drugs are ultimately found. Even if Paul Graham doesn’t care personally about cost-cutting operations, he should be wary of endorsing crackdowns on them by “all means”. It’s not always easy to write down legislation that cleanly separates the cases. And some subset of that “all means” is going to inflict collateral damage on the companies like Google, Facebook, and the startups Graham cares about. But my bigger beef is that it is wrong to crack down on cost-cutting operations. Reducing costs is an important part of social and economic progress. What if that cost reduction comes at the expense of quality? That is an issue that should be negotiated between the tech companies and their customers. If hiring substandard programmers from India means that a company messes up its software and services to a point that customers find intolerable, then they should lose those customers. Public shaming and court cases can help with that. But that is an entirely separate issue from the idea that cost-cutting is bad because it reduces native wages. Overall, increasing efficiency is a moral imperative. If you can get the same output at half the cost in terms of engineering salaries, then doing that is a moral imperative. Otherwise, you are misallocating society’s resources and your investors’ money. Surely, as a startup investor, Graham understands this. It’s true that cutting costs may be the wrong thing to focus on, relative to finding the right people or getting to something that works at all, particularly in the startup environment. But important it certainly is. As Graham himself has written, you don’t want to run out of money despite having a great idea, team, and execution, just because you weren’t careful about money. Greater division of labor (see Nathan’s post on comparative advantage) allowing the truly brilliant to focus more on the areas where their skills are most needed rather than having to deal with more routine issues. The training of more brilliant people: Probably a large fraction of the people who are already truly brilliant are in the San Francisco Bay Area (cf. my criticism in #1 of the 95% statistic). But there are probably many others who have the ability to reach that level, but need a work environment that pushes them further in that direction. By allowing them to take jobs where they are surrounded by people they can work with and learn from, we can let them achieve greatness. The other side of the regression to the mean coin — the kids of the merely competent can be great: The greatest coders are not always born to great coders. They are usually born to parents of above-average intelligence, and sometimes even to parents of below-average intelligence. In expectation, allowing a number of Chinese, or Peruvian, or Filipino, immigrants into the United States increases the chances that the great children that some of them will have will find sufficiently stimulating intellectual environments to actually accomplish great stuff. But if you talk to startups, you find practically every one over a certain size has gone through legal contortions to get programmers into the US, where they then paid them the same as they’d have paid an American. Why would they go to extra trouble to get programmers for the same price? The only explanation is that they’re telling the truth: there are just not enough great programmers to go around. I suspect the truth is closer to something like this: there are native workers who would be willing to do the same job and would be at least as qualified. But the number of such native workers being very small, the natives can command very high salaries. Most companies, particularly small companies, aren’t willing to pay those large salaries. As long as the legal fees are smaller than the cost differentials between the natives and the non-natives, this could be justified. If, as an employer, you have an option between hiring an engineer for $120,000 on H-1B, and paying $15,000 in legal fees, versus hiring a similarly talented native for $200,000, you may well choose the former. In some of these cases, you may have hired the native if the H-1B option weren’t available. In other cases, you may have forgone hiring. Which of those options applies in a particular case can be hard to tell. Companies may not say “there’s a native we could hire but he’d cost twice as much!” but it could still be true. The answer is jobs, of course, but even more than that, it is about the quality of the professions available to high-tech workers. Engineering is the most highly paid field for new graduates, and many groups want to protect that bright spot in an economy which has otherwise seen limited real wage growth over the past few decades. Labor unions like the AFL-CIO, despite being almost non-existent in Silicon Valley’s tech economy, are among the most aggressive in blocking changes to high-tech immigration. These unions simply don’t believe arguments about “worker shortages,” since such arguments have been used for more than a century to foster an environment for employers to lower wages, weaken job security, and cut benefits. Such tactics are not just used by stereotypical factory owners, but have been adapted by managers of tech companies as well. Writing in an older working paper at the National Bureau of Economic Research, Eric Weinstein, currently a managing director at Thiel Capital and a long-time researcher on the market for elite labor, showed that labor “shortages” in high-tech fields described during the immigration reform efforts in the early 1990s were largely a fiction, and that the reality was anything but. Any shortage that might exist would have tremendous benefits for workers, but was “… an economic crisis as seen from the point of view of the large government, university and industry employers.” It was the active policy of the government to encourage immigration, because one of the primary benefits was lower wages for industry, and thus, greater competitiveness for the United States. Shortages allow workers to drive their salaries higher, since they have increased leverage to negotiate with. That’s one of the reasons why we are suddenly reading in the New Yorker about elite engineering talent agencies in Silicon Valley like 10x. It’s also the reason why tech company wages have increased, to the point that even the interns are approaching six-figure salaries. It is ridiculous to think that the talent crunch affecting Silicon Valley has no effect on these rising wages. We all know these issues. And yet, tech companies and venture capitalists continue to avoid addressing them head on, instead advocating for more immigration as the simplest solution to the problems plaguing Silicon Valley. Trust starts with honesty, and so far in this debate, we have had very little of it. Companies should admit that a shortage means they have to pay higher wages, and that they simply don’t want to do that. Still, Graham’s observation is probably closer to the truth for the industry as a whole: any individual company can get the talent it wants by paying an astronomically higher salary, but the industry as a whole is constrained by supply. The bidding war just redistributes a small pool of talent, rather than getting new talent. Allowing people to move freely increases the pool of accessible talent. But my bigger beef with Graham (and his critics) is to give so much attention to the concerns of the suppression of wages of engineers in the first place. The overall literature on the effect of immigration on native wages, both in general and in the US, suggests small magnitudes, and moreover, finds that even though immigration may reduce the wages of natives in the same sectors, it often increases wages in other complementary sectors. I tend to think that the availability of H1-B visas probably does lower the wages of Americans with certain kinds of technical skills, which theory would predict. In general, increase the supply of something, and its price falls. That’s the law of demand. Having said that, there may be reasons that this rule does NOT apply to H1-B visaholders, because some of them may work in sectors with strong O-ring effects (see Jones) and/or sectors involved in idea generation, which doesn’t run up against the same kinds of scarcity. Still, what I find really odd is that anyone should regard protecting the wages of highly-skilled American workers from foreign competition as a policy priority. As you observe, wage growth for these workers is pretty robust, but I’d stress even more that the LEVELS of wages for these people are quite high, well above the median. Most of us aren’t engineers; most of us are consumers of products that engineers make. More engineers, even, or rather especially, at lower wages, should be good for the non-engineer majority of the American people under almost any theory you could come up with. It would take considerable ingenuity even to suggest how it might be POSSIBLE that most American non-engineers would NOT benefit (at least economically) from the immigration of such people. And since non-engineers are a good deal poorer than engineers, on average, surely their interests should count at least as much as those of people competing with H1-B visaholders, even if we set aside the issue of the merits of freedom per se. And then there’s the concern of national power, if you’re into that kind of thing: H1-B visas allow America to grab a larger share of the world’s top-level technical expertise. Even if it were beyond dispute that engineers’ wages are undercut by competition from H1-B visaholders, it would be bizarre to regard that as a plausible motivation for restricting the supply. Unless you’re a lobbyist for an engineers’ union or something. But this whole discussion has taken something for granted: that if we let more great programmers into the US, they’ll want to come. That’s true now, and we don’t realize how lucky we are that it is. If we want to keep this option open, the best way to do it is to take advantage of it: the more of the world’s great programmers are here, the more the rest will want to come here. And if we don’t, the US could be seriously [expletive]. I realize that’s strong language, but the people dithering about this don’t seem to realize the power of the forces at work here. Technology gives the best programmers huge leverage. The world market in programmers seems to be becoming dramatically more liquid. And since good people like good colleagues, that means the best programmers could collect in just a few hubs. Maybe mostly in one hub. What if most of the great programmers collected in one hub, and it wasn’t here? That scenario may seem unlikely now, but it won’t be if things change as much in the next 50 years as they did in the last 50. We have the potential to ensure that the US remains a technology superpower just by letting in a few thousand great programmers a year. What a colossal mistake it would be to let that opportunity slip. It could easily be the defining mistake this generation of American politicians later become famous for. And unlike other potential mistakes on that scale, it costs nothing to fix. Why do we need to “lead the world in this new economy?” There’s a citizenist twist in the argument here, which runs counter to economic good sense. Now Zuckerberg is the one who thinks we’re in a zero-sum game, competing with other countries to attract talent. But if knowledge is a public good, as he seemed to be arguing before, we shouldn’t really care where the high-skilled workers are doing their technologizing. Once created, the ideas spread worldwide. We actually shouldn’t want them to be here, per se; we should want them to be wherever they are most productive. Now, Zuckerberg could argue, and probably would if challenged, that high-skilled workers would be more productive in the United States– after all, that’s why they want to come, or (for the math and science graduates) stay. Fine. But I find the nationalistic framing of this point to be off-putting and fallacious. It might also lead Zuckerberg to misallocate his lobbying resources. If it’s the common good of mankind he’s after, and perhaps even if he’s just trying to help Americans, he ought to try to open the world’s borders generally, not to help America win some competition for talent. I think Graham is right that there’s a chance of the tech center of the world moving outside the San Francisco Bay Area or even outside the US, due to a messed-up immigration policy, land use policy, or other government policy. I don’t know how probable this is. I don’t think it’s as likely as Graham makes it sound, because of existing inertia as well as the fact that the US already has a much larger talented native population (it’s after all the third most populous country in the world, after China and India). But he could be right. The cost of this move, though, isn’t merely that the US gets hurt because it loses out to another country. Or rather, that is a cost to the US, and specifically to the San Francisco Bay Area, but it won’t be a big cost. The US will still be the largest market for tech innovation, even if the innovators themselves move to Chile. The bigger cost will be the global, social cost of the transition. The move won’t happen overnight. Tech companies will start having to choose between two (or even more than two) locations for their main headquarters. The tech market will no longer be the “thick” market of the San Francisco Bay Area, where a large enough number of employers and employees create enough liquidity in job-seeking and matching. The problem isn’t that the move will happen overnight. The problem is that the move won’t happen overnight, and that, as it slowly unfolds, there will be a slowdown of innovation and technological progress. PS: My early thoughts that led to this post, as well as some people’s reactions to those thoughts, can be found at this Open Borders Action Group post. Thanks to the commenters on that OBAG post as well as to Milo King, Carl Shulman, Chris Hendrix, and Ben Smith for reading drafts of this post. PS2: See also People, Places and Jobs by David N. Welton, sole owner and proprietor at DedaSys LLC. Disclosure: The company I currently work for received Y Combinator funding but graduated from Y Combinator before I joined, and some of my friends and acquaintances work at other YC-funded companies. The views here are solely my own, in my capacity as a blogger on this site. I’m including this disclosure because some people might view my association as creating a conflict of interest, though I don’t think it does. Previous PostMovies About Open Borders, Family, and CannoliNext PostWhich states oppose DAPA? Agreed that the title of Graham’s piece puts it on the wrong foot. Nit: it is substantially higher than the world *average*, but there are major countries which are ahead. 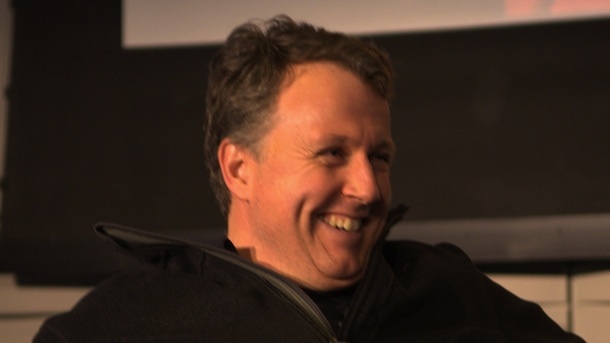 Canada is one example: Paul Graham himself said last year that Y Combinator’s best applicants come from the University of Waterloo, rather than e.g. Stanford or MIT (http://www.communitech.ca/start-news/waterloo-applicants-the-best-y-combinator-founder/ ). Graham is not alone in this sentiment. Since Waterloo draws from a far smaller population than Stanford and MIT, and that population does not include the children of the technical elites in Silicon Valley, the country and/or the university has to be doing some things very right that the US and/or its top technical universities are getting wrong. One possibility, which Graham probably believes is a contributing factor, is that Canada’s skills-based, citizen-interest-respecting immigration policy gives it a major advantage over the US. As for exceptional immigrants vs. the merely competent, it seems to me that the US’s comparative advantage, when it comes to receiving immigrants, extends well into the “merely competent” range. A simple way to estimate this, which I admit I haven’t formally done (if anyone has, I’m very interested in the results), is to take a representative sample of the best-performing kids of immigrants under various metrics and look at their parents’ backgrounds. I expect plenty of them to have “merely competent” parents, by Paul Graham’s standards. It follows that global human capital development is probably maximized with relatively high “exceptional” *and* “merely competent” immigration to the US, while truly low-skilled permanent immigration should be greatly reduced until US institutions figure out how to educate that cohort’s children nearly as well as the children of the “merely competent”. Paul Graham on US immigration policy and high-tech programmers is licensed by Vipul Naik under a Creative Commons Attribution 3.0 Unported License.